Why hibernate when you could be having this much fun? In Central Oregon, people wait all year for winter. When the weather turns cold and snow comes to the mountains, there’s too much happening to hibernate. Locals and visitors alike embrace all that winter offers—which includes plenty of outdoor adventure, from skiing and snowmobiling to snowshoeing and ice skating. Snuggle up with your partner by a crackling fire, or play in the snow with your kids. Live like you’re in a snow globe! Start the day making fresh tracks at Mt. 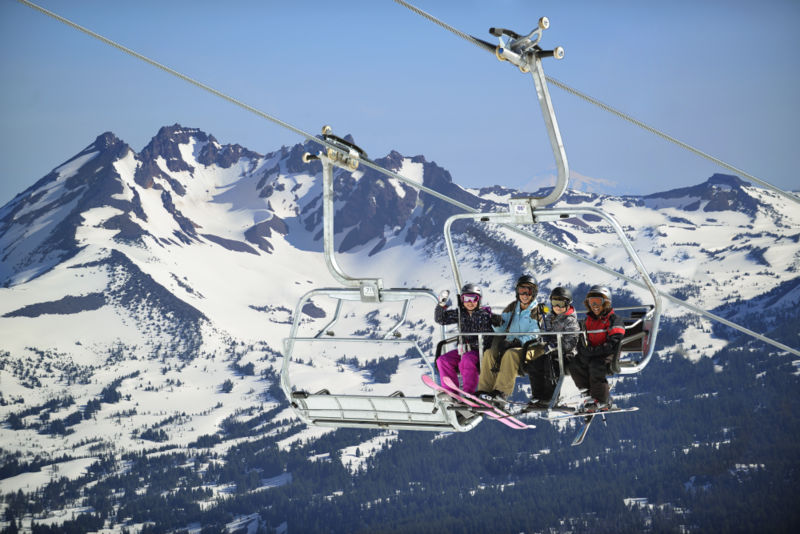 Bachelor, the sixth largest ski area in the United States, or sleep in, have a relaxing day, and hit the mountain after dark. Hoodoo Ski Area, a local favorite, offers night skiing. Warm up with an après ski visit to one of Central Oregon’s nearly 30 breweries. The endless local restaurant options range from family friendly to fine dining. In addition to downhill sports, cross-country skiing, and snowshoeing, Mt. Bachelor offers regularly-scheduled dogsled tours. Stay cozy in the sled while a real sled dog team and professional musher carry you into parts of the forest many people never get to see. 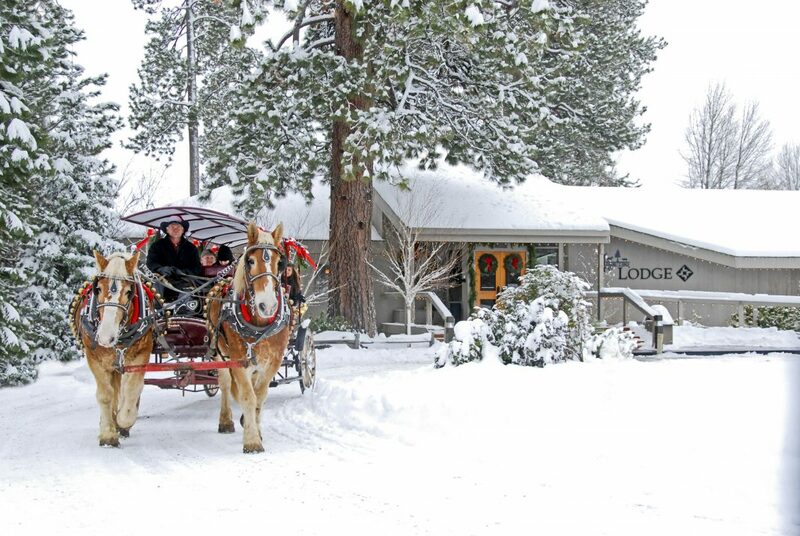 Central Oregon is a winter wonderland offering all sorts of exciting experiences, from the wildlife encounters and cultural exhibits at the High Desert Museum to hearing a new band play live at a local bar. The area boasts more than 300 miles of mountain-biking trails, many of which ride even better during the winter. Ever tried fat biking? They have trails for that, too, and it’s a must-do for avid cyclists. It’s easy to get started — most of the bike shops in town offer fat bike rentals. Hike along the Crooked River at the base of Smith Rock’s magnificent spires, play a round of golf at one of the year-round courses, or take a custom helicopter tour for a stunning birds-eye view of the region. Ready to plan a trip? 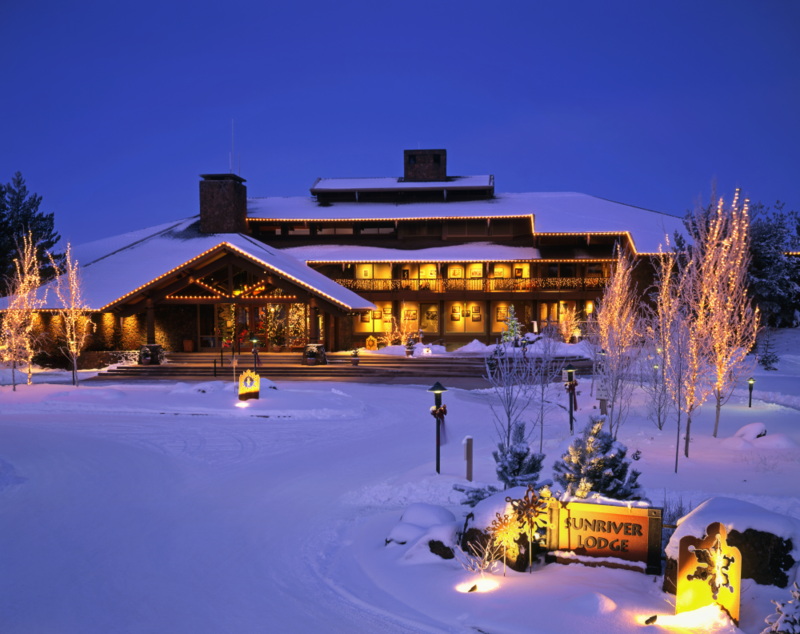 You’ll find affordable, family-friendly lodging at several destination resorts: Sunriver, Pronghorn, Black Butte Ranch, and Tetherow. Each resort has its own personality, and they all offer plenty of dining and recreational options, including sleigh rides, Nordic skiing and sledding. In Central Oregon, people wait all year for winter, but getting there from Los Angeles is easier than ever. Seven major airports—including LAX—offer daily direct flights to Redmond Airport (RDM). For more information visit visitcentraloregon.com/mtbachelor.